BTC Norlin Racing’s trucks are en route to Snetterton following shakedown yesterday morning as the outfit completed its preparations for the next three rounds of the Dunlop MSA British Touring Car Championship campaign in Norfolk this weekend. Despite the six-week hiatus between race weekends, it has been a busy period for the team, with testing at Snetterton earlier in July as all concerned set about working to build on positive performances throughout the first half of the season. The last outing at Croft saw both Dave Newsham and Chris Smiley scoring points, finishing in 13th and 15th with Newsham continuing his run of points at every round so far. The ambitious team is ready to hit the ground running at Snetterton, targeting the top 15 for both cars in qualifying and top 10 finishes over the course of Sunday. As ever, the BTCC field is fiercely competitive, but Bert Taylor – Team Principal – is confident. Newsham rounded out the July test with fifth spot, confident with car performance and the data collected by the team; and Snetterton is a circuit Newsham loves to race at. 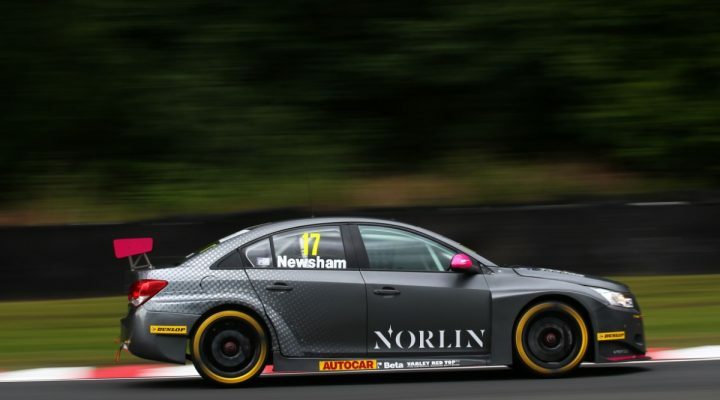 “Snetterton is actually the venue of my very first BTCC win!” said Newsham. “The track suits me well and I’ve always done well there. This year has been Smiley’s first full campaign in the championship and he is eyeing more through the second half of 2017.